In the past two weeks I have had two very different Professional Development experiences. I feel I was able to take something away from both, although I found I preferred one format to the other. On February 10th and 11th, I attended Concept-based Curriculum and Instruction: For the Thinking Classroom with Lynn Erickson, Ed.D. 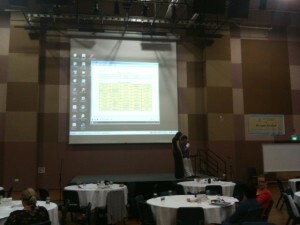 The two day PD was held at UWC East Campus in a large hall. There were probably over 150 people there and we were seated at large circle tables, about 8 to a table. The tables were labeled a specific grade level or subject area. I ended up at a table of only 3; two grade 3 teachers and one grade 2 teacher. 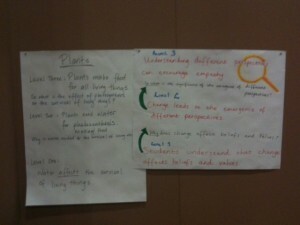 Erickson spent the two days sharing her theories through a PowerPoint format. There were times we were given butcher paper tasks to do as well. She tried to make it around to spend time with each table, but that proved difficult due to the number of participants. 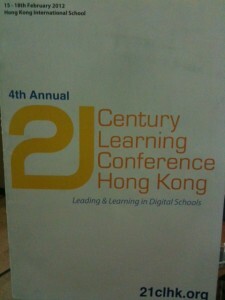 On February 17th and 18th, I attended the 21st Century Learning Conference in Hong Kong. I presented there last year and was facilitating an unconference on Media Literacy this year. The conference strand I was in was the Primary Strand. Friday I was able to go on school tours and interact with teachers and students at CDNIS and CIS. Saturday included different sessions and unconferences. Even before I got there, which was a day late for I could not take more time off school, I was able to be a part of the conference through my colleagues on twitter. Infact the hashtag #21clhk had already been active for weeks before the conference, exciting participants and allowing the sharing to begin. Though I may have been sitting in one area of the hall for keynotes or in a different session or unconference than others, I was still able to share and learn from the fabulous educators on twitter throughout the weekend. While I recognize these two PD opportunities differ in their design, I still think there was a place for twitter at both. Sometimes it helps to be in the same PD session and have that twitter conversation going on to compliment the session, allowing afterthoughts, questions, and new ideas to surface throughout. In the end, I am glad I went to both PD opportunities, but thankful to be on twitter and able to engage with and access resources and educators around the world. I prefer to order my PD with a side of twitter! What about you? This entry was posted in PD and tagged 21clhk, choice, twitter. Bookmark the permalink.